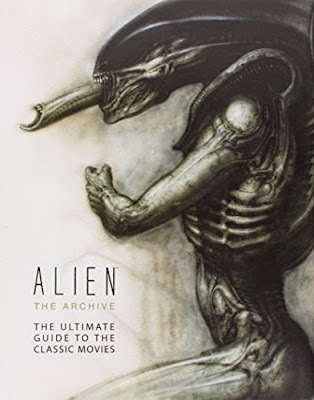 Alien the Archive: The Ultimate Guide to the Classic Movies, by Titan Books, 2014. This 300 page book features lavish, huge pictures (plus sketches, paintings and concept designs) from all four films in the 35-year-old film franchise. Not all goths are sci fi horror fans, but your dinner party guests may well indeed enjoy paging through this while they await the cocktails and appetizers you might be serving them. You can see several pages from the inside of the book in this Youtube video review. "The Art of the Skull." 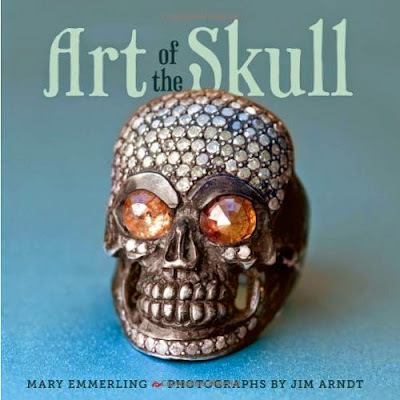 Mary Emmerling's stunningly beautiful photographs of artisan-designed skulls. Leave it out before your next cocktail party or dinner party - guests will love thumbing through it. Click here to see a few images from the inside of the book. 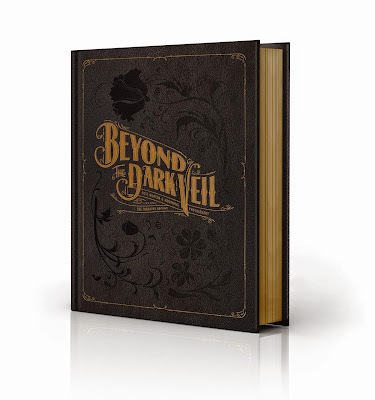 Beyond the Dark Veil: Post Mortem & Mourning Photography from The Thanatos Archive, by Jack Mord, 2014. This features over 120 photographs, plus ephemera from the era of Victorian post-mortem photography. There are several high-res images from the book here and at Cartwheel Art and at Haute Macabre. 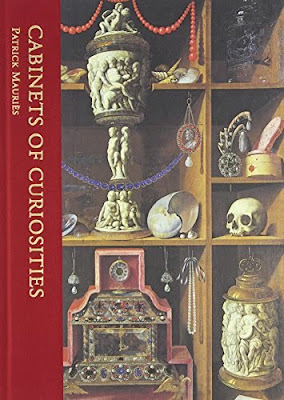 Cabinets of Curiosities, by Patrick Mauriès. I suspect the items collected here are far more dark and interesting than the specimens I'd sneak peeks at in my grandmother's cabinet of curiosities. The book includes 139 full-color and 133 black-and-white illustrations/photographs. 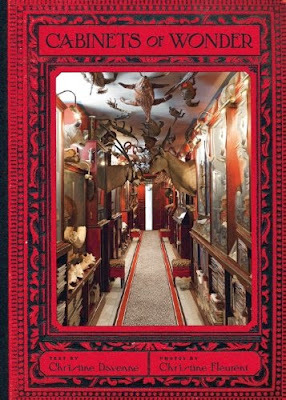 Besides cabinets, the book focuses on relic collections and entire rooms that were filled by archdukes, kings and other collectors throughout history. Cabinets of Wonder, by Christine Davenne, 2012. This book features modern collections in homes, restaurants, shops and museums, with an emphasis on interior design. 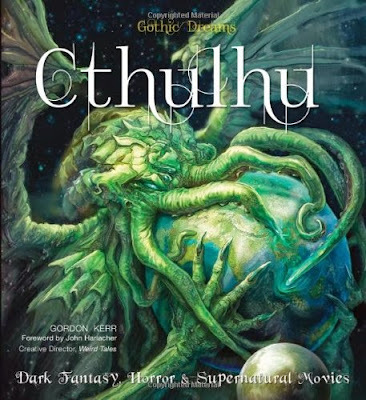 Cthulhu: Dark Fantasy, Horror & Supernatural Movies, by Gordon Kerr, 2014. This particular coffee table book won't appeal to everyone, but a certain segment of dark fantasy fans or Lovecraft readers would enjoy it. 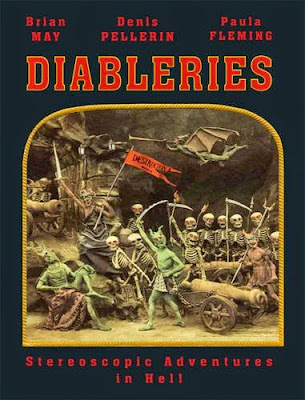 Diableries: Stereoscopic Adventures in Hell, by Brian May, 2013. I'm rather obsessed with dioramas as it is, and the thought of little dioramas picturing Hell and its denizens is quite intriguing! Why am I not surprised that this whole thing originated in France? Not just a coffee table book, this is a collection of stereoscopic 3-D images you can view with the included stereoscopic viewer. I think that I definitely must own this book! 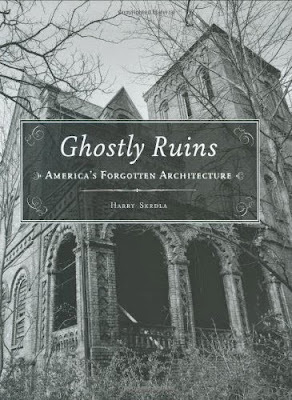 Ghostly Ruins: America's Forgotten Architecture, by Harry Skrdla, 2006. These are stunning black-and-white photographs of abandoned amusement parks, hotels, jails, houses, and even entire towns. Gothic Art: ampires, Witches, Demons, Dragons, Werewolves & Goths, by Nicola Henderson, 2013. 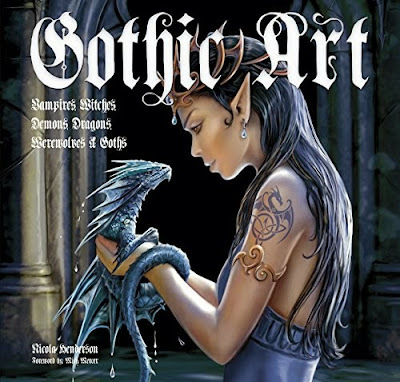 This dark fantasy coffee table book presents illustrations, digital illustrations, paintings, and photos by Aly Fell, Anne Stokes, Alex Horley, Jasmine Beckett-Griffith, and Brom. You can peek at some of the pages at this link. 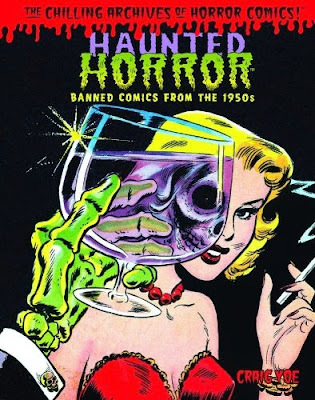 Haunted Horror: Banned Comics from the 1950s, by Craig Yoe, Clizia Gussoni, and Steve Banes, 2013. I suspect this is exactly the type of book that one could get unintentionally sucked into for a couple of hours at a stretch! 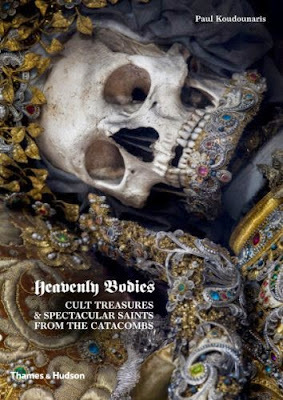 Heavenly Bodies: Cult Treasures and Spectacular Saints from the Catacombs, by Paul Koudounaris, 2013. 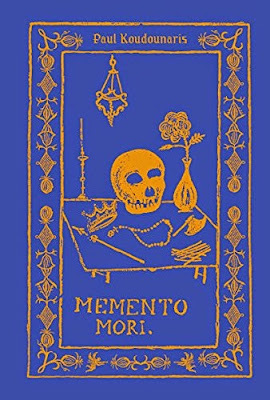 This book is full of photographs of the gorgeous bejeweled skeletons from European monasteries, catacombs and churches. This is the first time I've personally heard of "catacomb saints" that were dressed in fine clothing, wigs and jewels, to be venerated. Memento Mori: The Dead Among Us, by Paul Koudounaris, 2015. This book comes out in April, and features 250 photographs of memorial traditions all over the world. 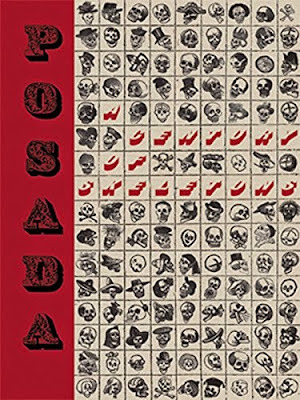 Posada: A Century of Skeletons, by Juan Villoro, 2014. This retrospective of over 1000 prints of Posada's works was made to commemorate Posada on the 100th anniversary of his death. How fitting! 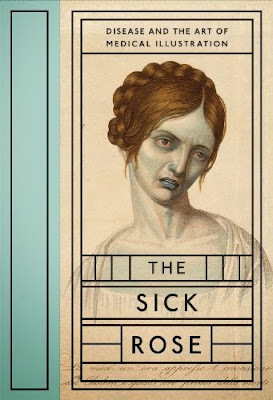 The Sick Rose: Disease and the Art of Medical Illustration, by Richard Barnett, 2014. I love the cover of this book so much! Tres goth! Here's a book review from The Guardian where you can see additional images from the inside of the book. There are more medical illustrations, and larger ones, at the IB Times book review and over at Wired. Not for the faint hearted or easily grossed out! Perhaps you might choose to remove this book from your coffee table should you happen to be serving pizza, spaghetti, or other tomato-based foods that evening. Malformed: Forgotten Brains of the Texas State Mental Hospital, by Adam Voorhes, 2014. 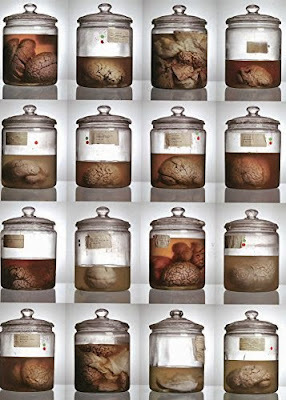 If looking at high resolution photographs of preserved brains from dead mental hospital patients fulfills some morbid need in your life, this is the book for you! Here's the National Geographic review of Malformed and the Washington Post review with lots of large photos of brains, too. 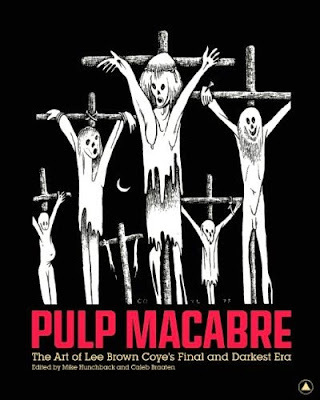 Pulp Macabre: The Art of Lee Brown Coye's Final and Darkest Era, by Mike Hunchback, 2015. I think of Lee Brown Coye's art as Edward Gorey with far more gore and much less humor. You can watch the book trailer at Vimeo and do a Google Images Search for Lee Brown Coye to get a feel for his dreary illustrations. 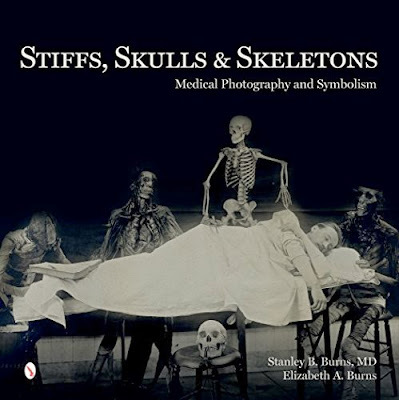 Stiffs, Skulls and Skeletons: Medical Photography and Symbolism, by Stanley and Elizabeth Burns, 2014. The book includes over 400 pictures of skulls and skeletons. You can see some of them at Boing Boing and at Time Magazine. 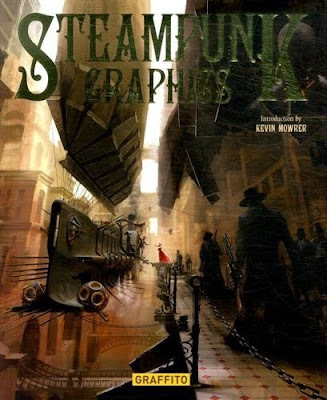 Steampunk Graphics: Visions of the Victorian Future, by Martin de Diego Sadaba, 2014. The book features artwork from thirty different artists. You can see images from the inside of the book at the Graffito Books website. 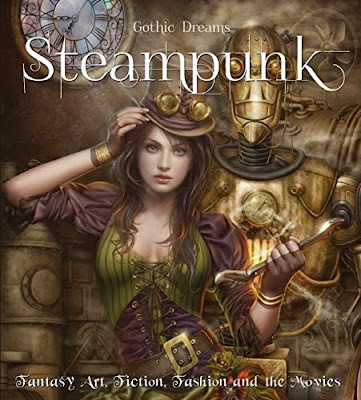 Steampunk: Fantasy Art, Fashion, Fiction & the Movies, by Henry Winchester, 2014. Here are 128 pages of illustrations by contemporary steampunk artists, many discovered on DeviantArt. Jason Juta is the biggest name I recognize here. 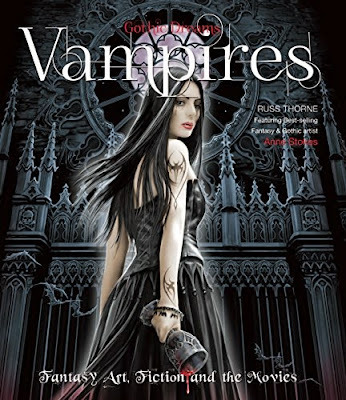 Vampires: Gothic Dreams, by Russ Thorne, 2013. Even Buffy the Vampire Slayer is mentioned here. You can take a look at some of the pages inside the book at this link. 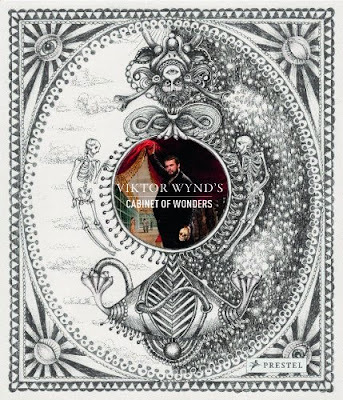 Viktor Wynd's Cabinet of Wonders, by Viktor Wynd, 2014. I couldn't resist including another "cabinet of curiosities" type post. These are photographs from the Museum of Curiosities in England. You can read an article about the museum here. 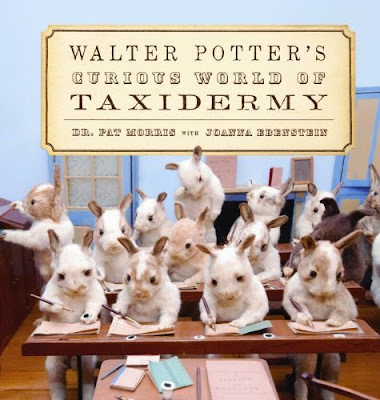 Walter Potter's Curious World of Taxidermy, by Pat Morris and Joanna Ebenstein, 2014. Here are photographs of Victorian taxidermist Walter Potter's detailed mice tableaux and dioramas. I actually don't find these very dark or creepy at all. Check out pics from the inside of the book at the Guardian book review. 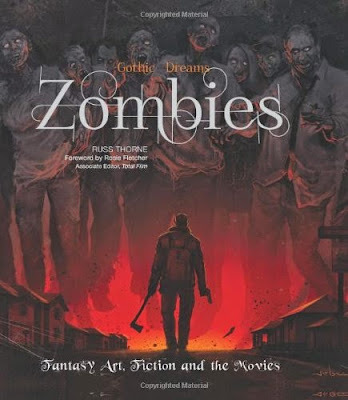 Zombies: Fantasy Art, Fiction & the Movies, by Russ Thorne, 2013. There are pictures of the "eye grabbing" illustrations at this link. Follow Goth Shopaholic on Facebook and on Pinterest!